There’s one thing I absolutely hate about every single camera that’s being shipped right now, including the X Series: the straps. I can’t stand flimsy, black nylon/faux leather, flesh cutting straps. They do the job and I don't blame manufacturers for providing them, but considering how much time we spend with these around our necks it's no wonder many of us turn to other solutions. 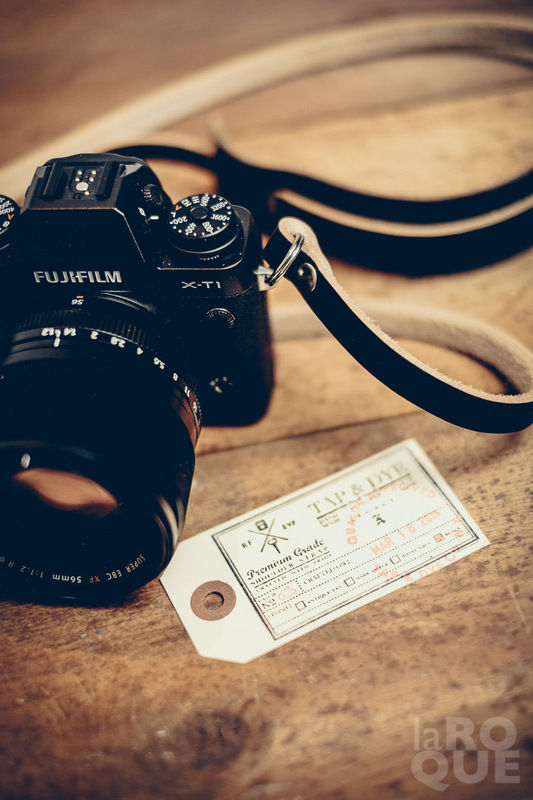 The one I’ve been using with my X-Pro1 is the Dreamer from a company called Iconic. I bought it from Photojojo (after an incident with a fake version on eBay) and I’ve been quite happy with it: it feels good, it’s strong enough and doesn’t look half-bad. But the truth is I’d always been eyeing the hand-crafted stuff — I’m a sucker for leather and fibres and tactile materials. So when I found out the Dreamer was no longer available, the lure of a beautiful leather strap came back with a vengeance: I went hunting. There’s a lot of very nice work out there and I was looking around, reading reviews etc. I almost clicked BUY on a Lima from Ona, but it wasn’t exactly what I wanted. 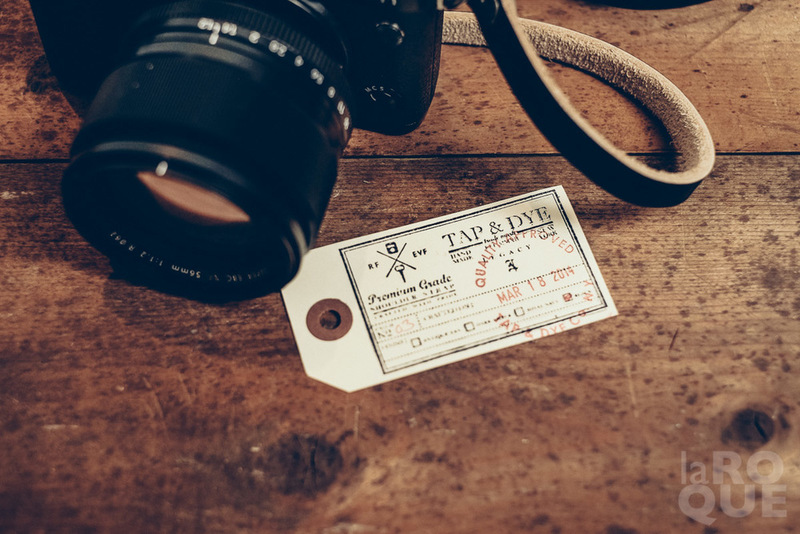 Then I remembered David Du Chemin (I think) mentioning a company called Tap & Dye; the name just popped into my head — I’m really glad it did. Tap & Dye is a small outfit based out of Long Island City, NY and run by Justin Waldinger. Justin does everything: he’s the founder, owner, designer and craftsman. When I visited his website I immediately cracked, not only because the products looked gorgeous but also due to the entire ethos of the brand, the idea of someone creating these very personal objects with his own hands, the care and craftsmanship. Over several days I kept coming back, trying to wrap my mind around some sort of decision. I had questions about shipping (to Canada) and Justin immediately answered my email — I pulled the trigger on a L E G A C Y - Black & Natural a few hours later. It’s clear, as soon as you open the package, that this isn’t an assembly line product. The strap comes in a small cotton/burlap bag, nicely folded, tied together with a red string. There are also two tags attached to the package: one stamped with the strap’s production date (a nice touch), the other showing the leather’s origin. It’s beautifully done. Most of the models offer a couple of options: I ordered mine without bumpers and added a neck pad (I find larger straps more comfortable). This was also a fixed length strap so I had to make sure of the measurements beforehand — I went with 44". I knew I was ordering a great looking product but I was hoping it would be more than just good looks… It is. It’s super comfortable and by far the sturdiest, best feeling strap I’ve ever had around my neck. The fact that it’s real leather means there’s a breaking in period, a lot like a baseball mitt. I’ve been wearing it and massaging it for a few days now and it’s already clear this is something I’ll probably be passing on to my kids one day. As far as price goes, it’s on par with other products in the same category, which means more expensive than off the rack nylon stuff, ranging from $62 US to $150 US (wrist straps start at $42 US). 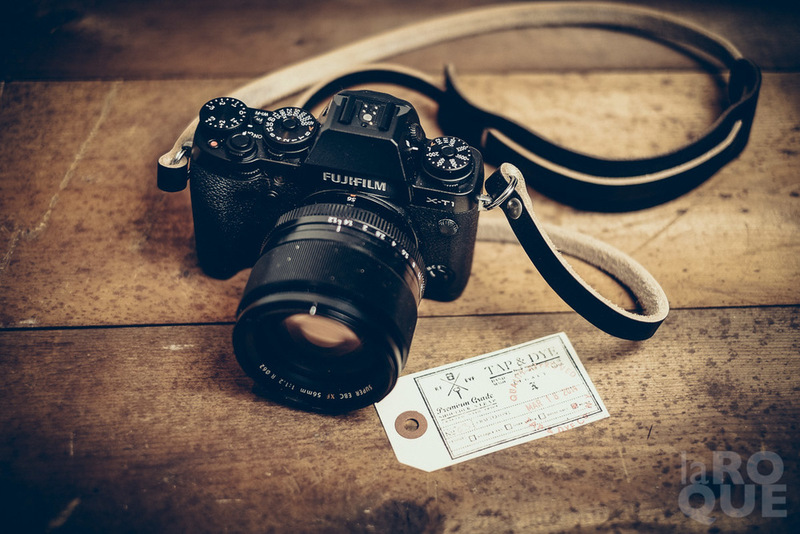 But honestly, given the quality of the work and the fact that these are handmade… It’s more than I’ve ever paid for a camera strap but I consider it to be worth every penny. The only problem is that my Dreamer strap now feels like it’s made out of Kleenex tissue… So I think Justin’s new LEGACY Porter strap might be on the not too distant horizon. Did I say I cracked earlier? Hmm… Judicious choice of word. For more info visit Tap & Dye.